If you have credit card debt, the smartest thing to do with that $1,000 is to put it towards paying it off. Think of it this way: Credit card interest rates are 12% - 24%. You most likely will not find an investment that can give you that kind of return. So even if you do make some money on other investments, the interest charges will completely wipe them out (and some more). So make paying off that debt your first big priority before other types of investments. If you're really drowning in credit card debt, making a balance transfer is a smart move. Find a new credit card with an intro 0% APR on balance transfers. This will give you a break on interest for a period of time. You can then focus on paying off debt without accumulating interest. Try being a lender. Consider investing in peer-to-peer lending. Platforms like Lending Club and Prosper allow you to lend to individuals who need a loan. You earn money as they pay back the loan with interest. Both platforms require just $25 minimum investment per loan. So with $1,000, you can invest in 40 different people and spread out the risk. This passive investment gives you another way to diversify your investment portfolio. And you'll likely see a higher return on your investment compared to stocks and bonds. If you haven't invested much elsewhere (like, ahem, a 401k), then skip this idea and see our ideas below. Index funds are another good way to diversity your investments. These funds are considered to be more beneficial than mutual funds because they have usually have lower fees. Index funds are a collection of stocks, so your investment is automatically diversified. Each index fund is designed to track a specific market index (such as the S&P 500). Because they simply track the market, there is no need for an active manager. This keeps the costs low. A good place to invest in index funds is with an online discount brokerage. The trade fees are low so that you can keep more of the profit. E*Trade, TD Ameritrade, and Charles Schwab all have good selections. E*TRADE requires a minimum opening deposit of $500, while the other two have no opening minimums. ETFs (Exchange Traded Funds) are another smart choice to diversity your stock investments. Similar to index funds, they track a stock market index. However, the difference is that they're traded like stocks directly on the open market (while index funds are traded like mutual funds). They can be a little bit more volatile. So if you're more conservative, you may prefer the stability of index funds. Don't feel confident about investing yourself? You can turn to a robo-advisor. A robo-advisor will automatically manage investments for you based on your goals and risk tolerance. Because they use automated management, they can provide the service at a low cost. You don't need a lot to get started. Betterment has no minimum required to start investing. All you have to do is tell the program your goals, and it'll select investments that will give you the best chances of reaching them. It'll actively manage your account, rebalance your portfolio regularly, and automatically reinvest extra funds. Wealthfront is another popular robo-advisor. The minimum opening deposit is $500. A Roth IRA is a retirement account. It's one of the best moves you can make for your future. What's special about it is that you can withdraw the funds tax-free. You contribute to it with money that has already been taxed, so you will not be taxed again when you take the funds out. Most importantly, if you follow all the rules, you won't even be taxed on the interest earned. To learn more about Roths and find out if you're eligible to open an account, go to the IRS website. Tip: You probably have heard of other retirement options, such as a Traditional IRA and 401k. The difference between a Roth IRA and those is that the Roth IRA contributions are made post-tax. With the other account options, the contributions are pre-tax. You'll avoid paying tax now, but when you withdraw the funds at retirement, you will have to pay normal income tax. Spend the $1,000 to attend seminars or take classes that will enhance your professional development. Either show your boss that you're ready to move ahead, or set yourself up for a better job, perhaps even your own business. Who knows, this $1,000 could be the start of a completely new career. 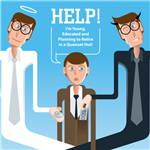 Do you have an emergency fund?. Close to half (41%) of us do not, as found by a CreditDonkey survey. And even for those who do have savings set aside, it's not enough. Ideally, you want six months' worth of income easily accessible if you lose your job. After all, while we believe credit cards are convenient and useful, you don't want to have to lean on them if you don't know when your next paycheck will come in. Use the $1,000 to beef up your emergency savings or start a new account. We recommend keeping your emergency fund in an online savings account. Online banks offer much higher interest rates than brick-and-mortar banks. So your savings can grow a little bit risk-free. If you have a hobby that has the potential to make money, take the $1,000 and launch a home-based business. Capitalize on your expertise. Bill yourself as a coach or consultant. If you're uber-organized, a multitasker who loves the fine details, sell yourself as a wedding or special events planner. There's a business to be had walking dogs, watering plants, and house-sitting, for example. You can't beat making extra money doing something you love. Today's low interest rates on mortgages aren't going to stay in the basement forever. They can go up, and that's likely to happen sooner, rather than later. If you have a high-interest mortgage, $1,000 could help pay refinancing costs. A lower interest rate means more money in your pocket each month. Instead of spending the extra, put it toward savings or paying debt. You're probably thinking… how can I invest in real estate with only $1,000?? REIT (Real Estate Investment Trust) investing is kind of like "real estate stock." This is when you pool your money with a bunch of other investors to purchase real estate together. A REIT is a company that owns a portfolio of real estate properties. Buying a share diversifies your single investment across many properties. You make money in the form of dividends (when the company collects rental income), and/or when the value of the shares appreciate. Fundrise is a platform that allows you to invest in REITs. You only need $500 to start investing with their Starter Portfolio. With the full $1,000, you can invest in their Core plan, which offers greater diversification and a more tailored portfolio. If you have a health insurance policy that comes with a qualifying health savings account, take full advantage of it and fully fund it. Most contributions are tax-deductible. And you can withdrawal tax-free to pay for qualifying medical expenses at any time. There's another plus with a health savings account. If you have money remaining at year-end, you don't lose it, as you would with a flexible spending account. Your money rolls over and continues to grow. After age 65, you can use money in the account for non-medical purposes. You can use the $1,000 to create or add to a college savings fund, such as a 529 plan. Use SavingForCollege.com as way to easily compare plans. Or use the $1,000 for a year's worth of tuition to specialty classes or summer camp. You'll be setting up your young ones as college-worthy students someday. Another idea is using the dough toward an educational family trip, like to Washington, D.C., Colonial Williamsburg, or a national park. You'll all learn something new and create family memories at the same time. The point of this list is to give you some ideas, and take you down from the high you may have felt when the check first came in. It's always nice to splurge - and for that reason, you may want to take $100 out of the total for a nice dinner or a killer outfit - but a spare $1,000 is best spent on something that will last much longer, like your savings. And as your savings starts to build up, feel free to check out our post on the "Best Ways to Invest $10,000." 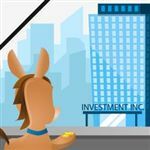 TD Ameritrade has not influenced the content of CreditDonkey. CreditDonkey may earn compensation for accounts opened at TD Ameritrade. Lending money to strangers may sound ludicrous. But that's exactly what peer-to-peer lending is all about: people who need cash link up with people willing to lend it. Share on Facebook "10 Smart Ways to Invest $1,000"